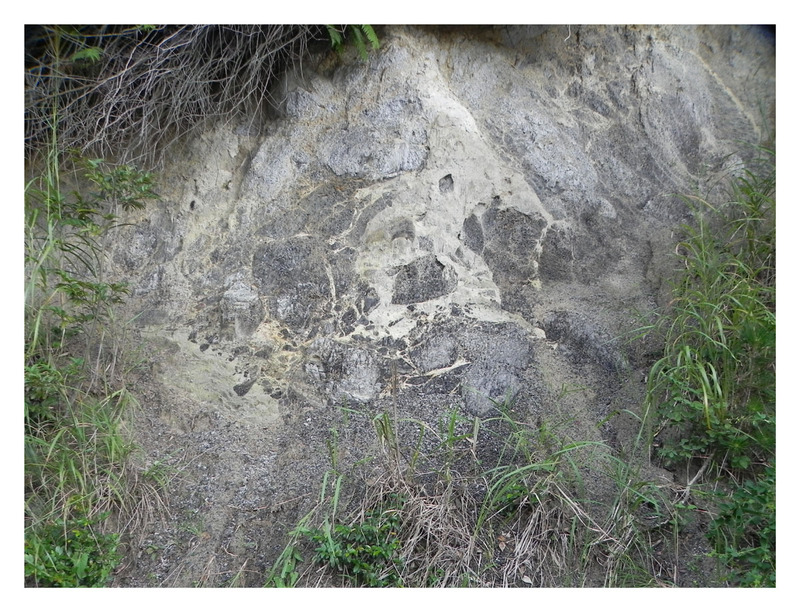 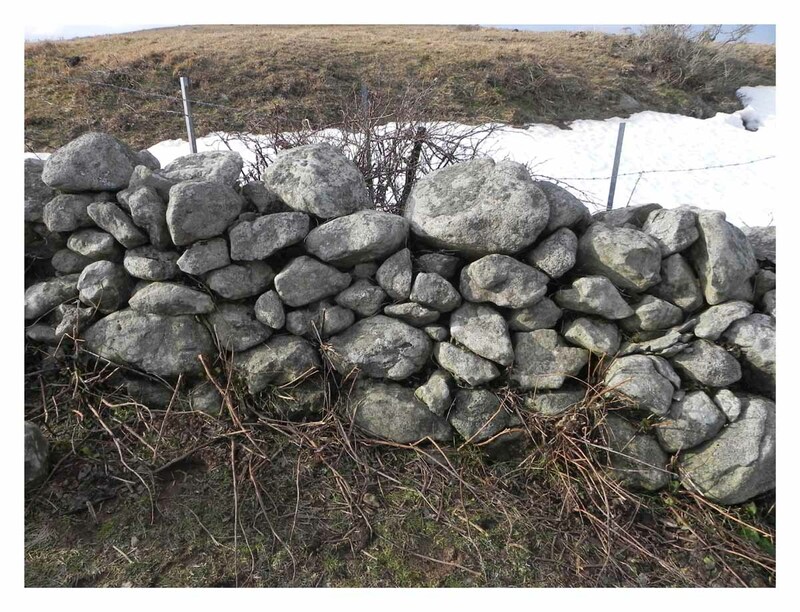 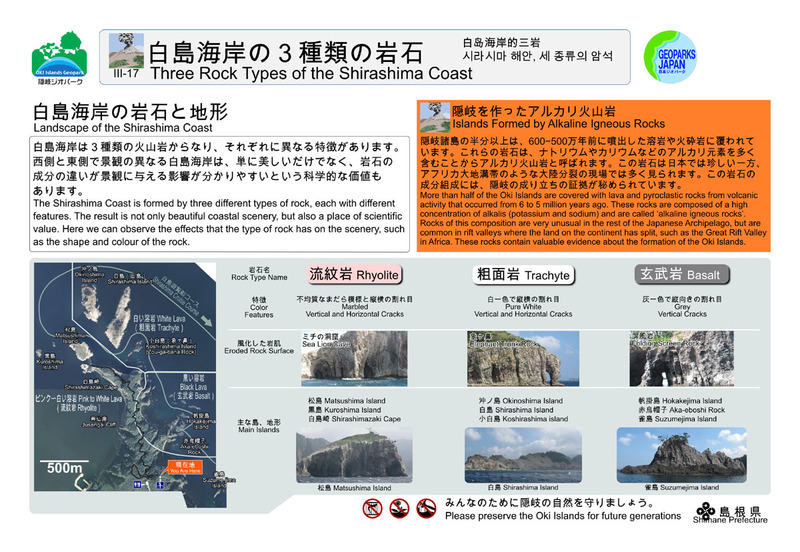 Geosites feature the sights of the geopark. 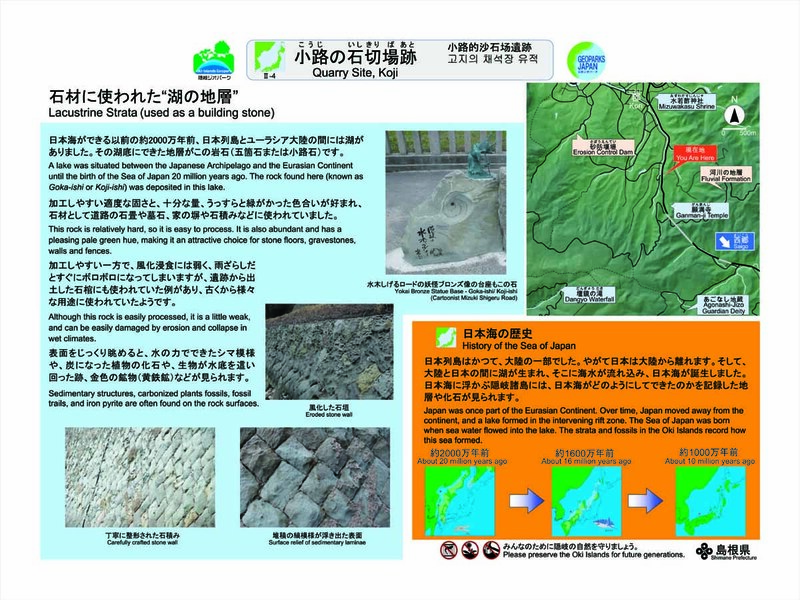 The majority of the geosites designate sites of spectacular geological features and scenery in the geopark, however, many also feature ecological and cultural heritage. 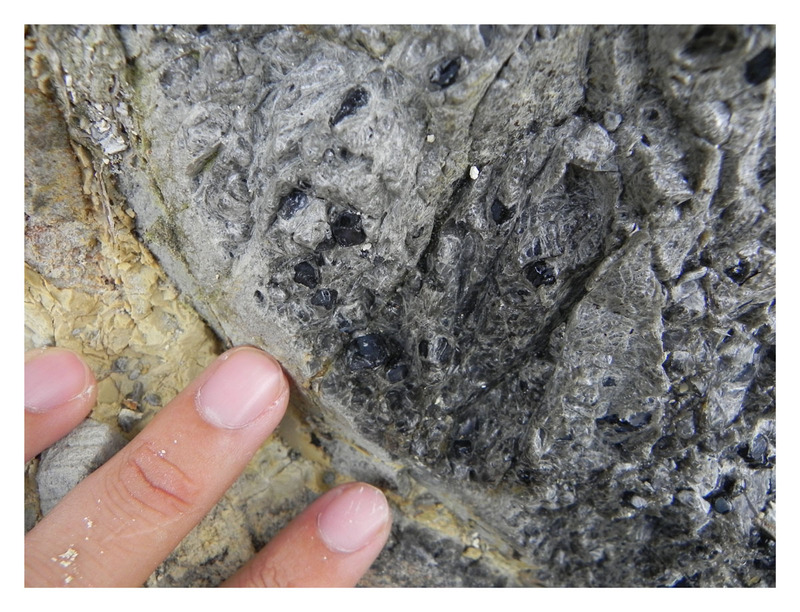 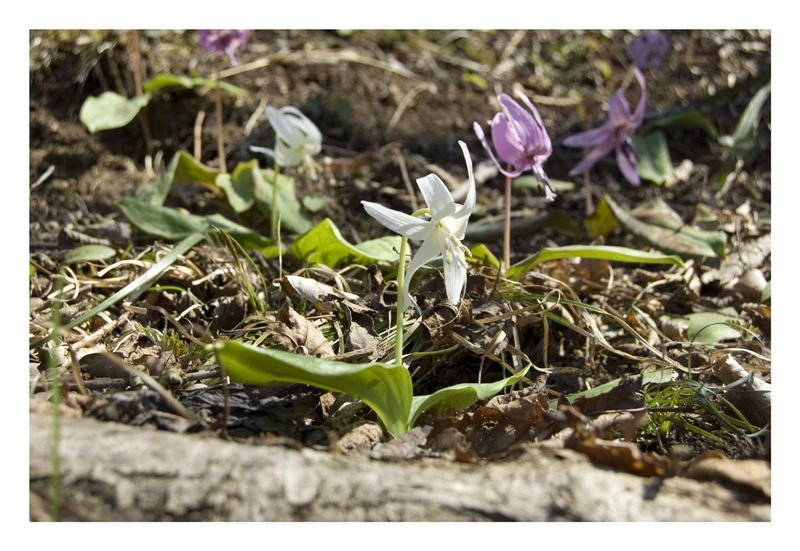 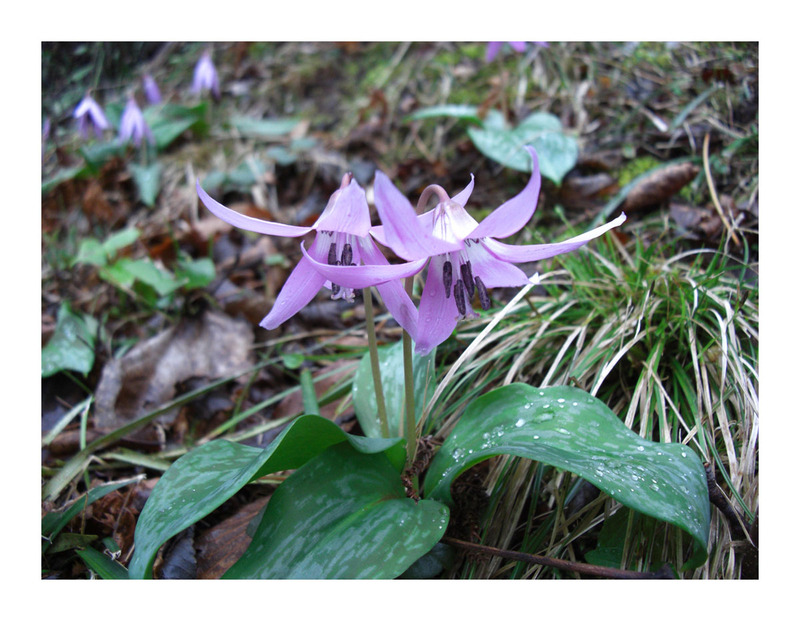 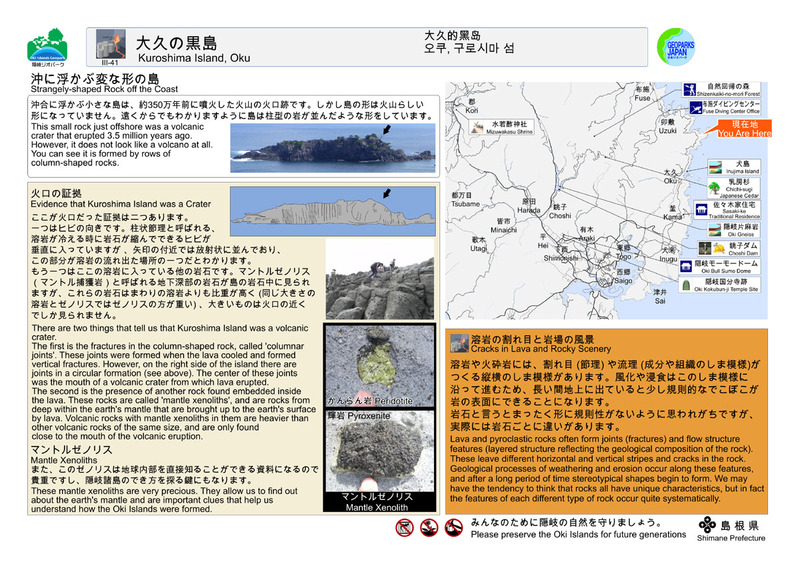 There are over 100 geosites in the geopark, and here we will introduce the most easily accessed. 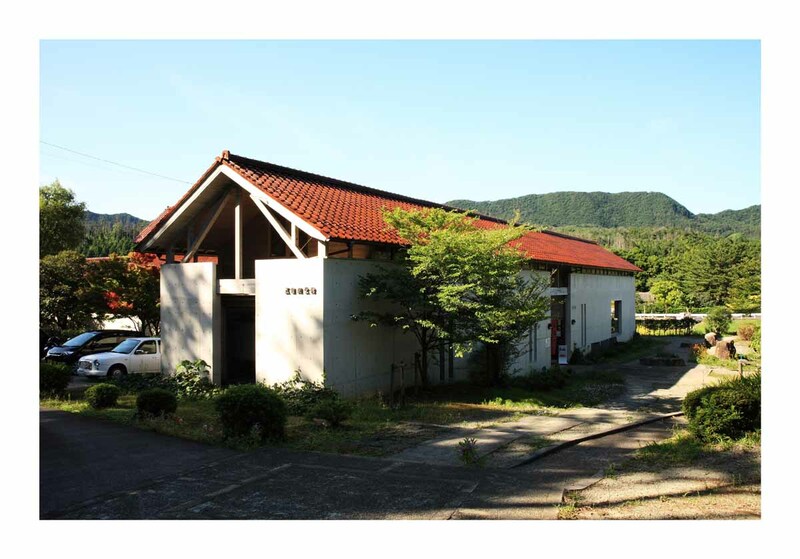 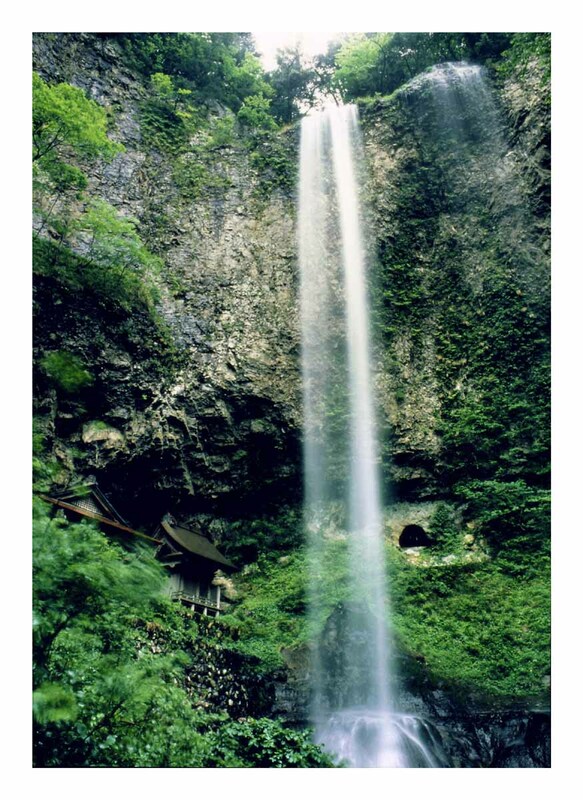 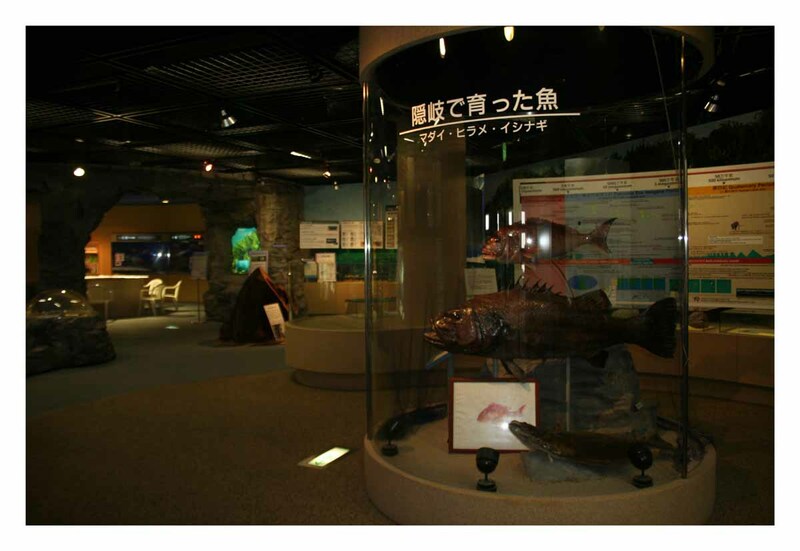 You can also find out about the facilities of the geopark, such as museums. 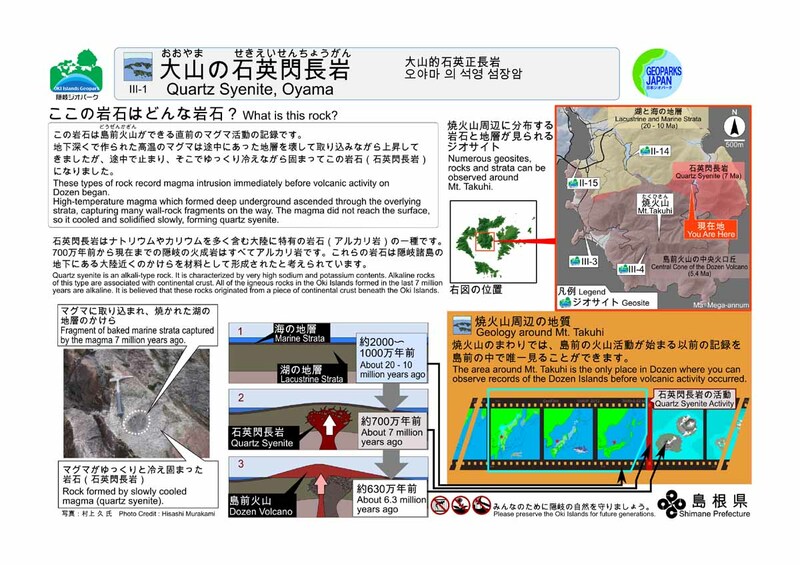 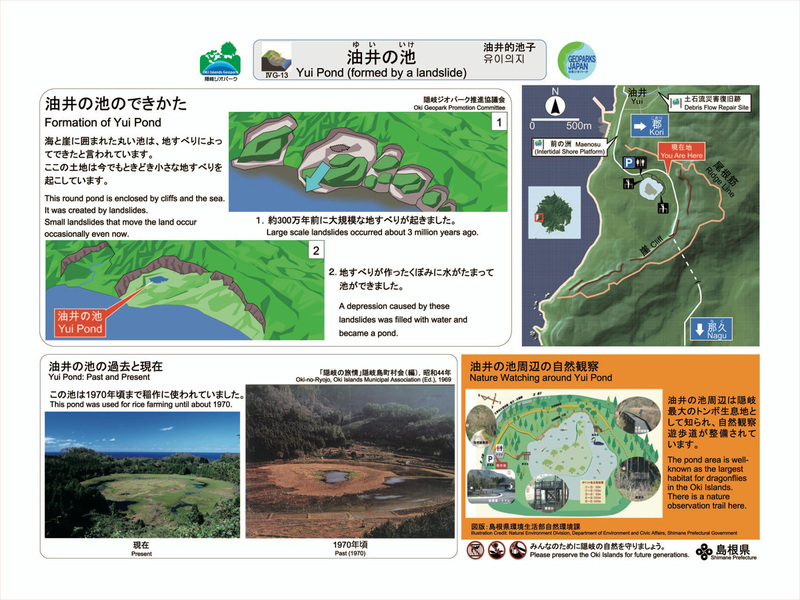 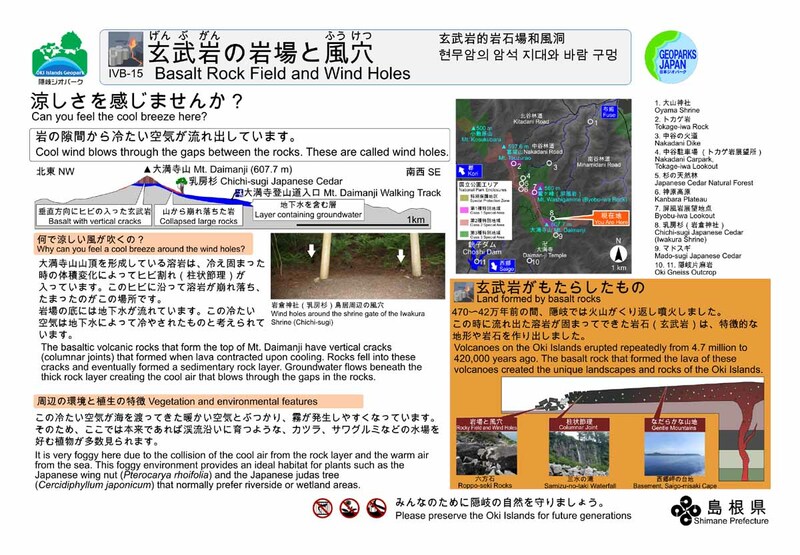 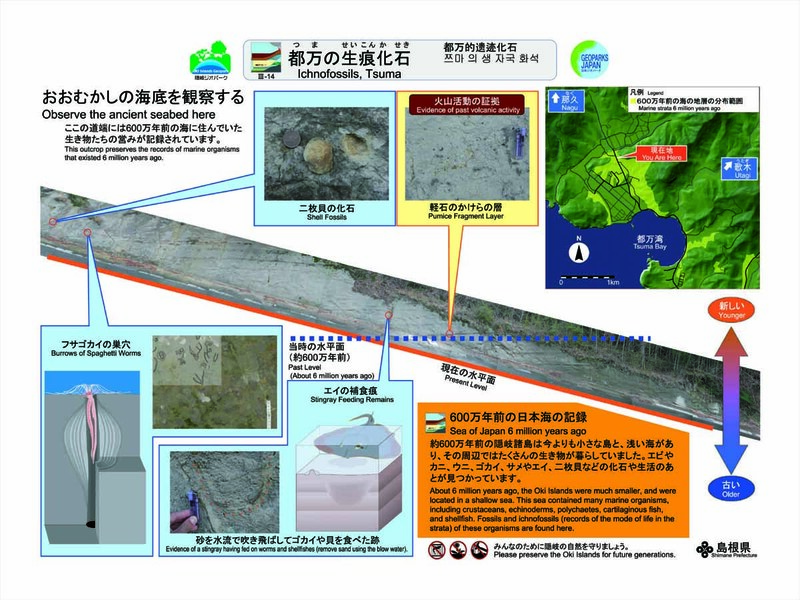 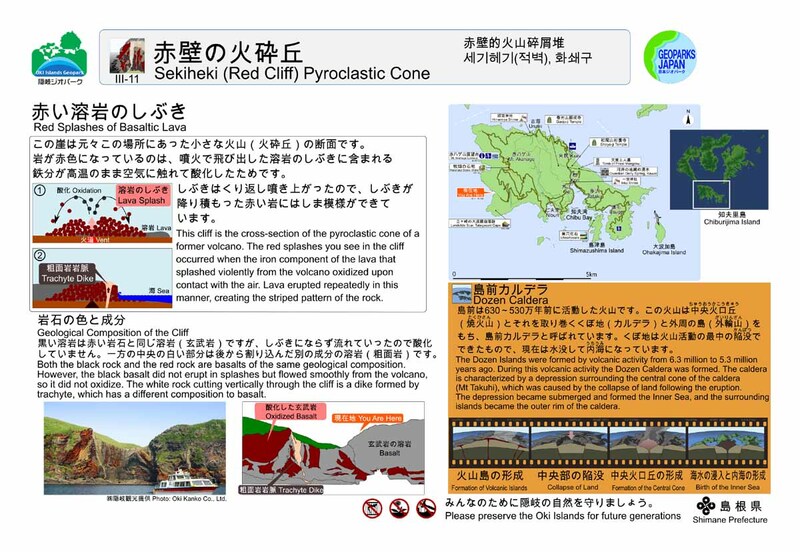 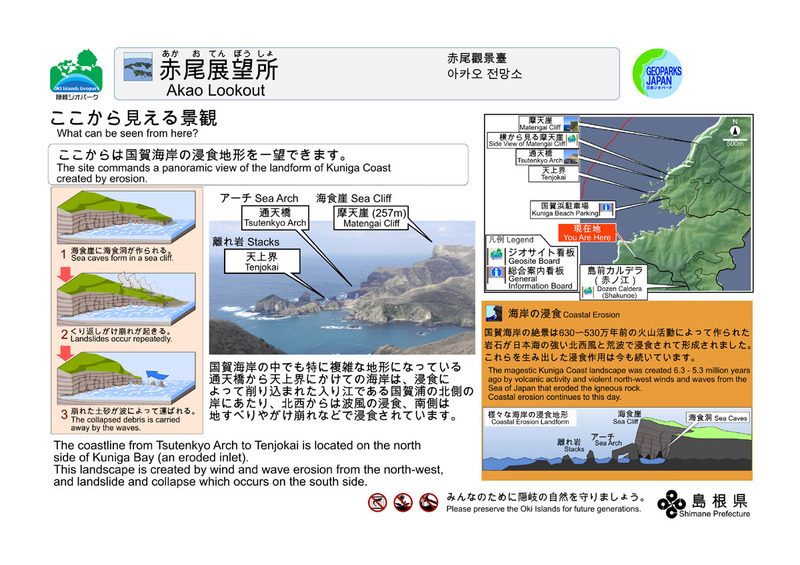 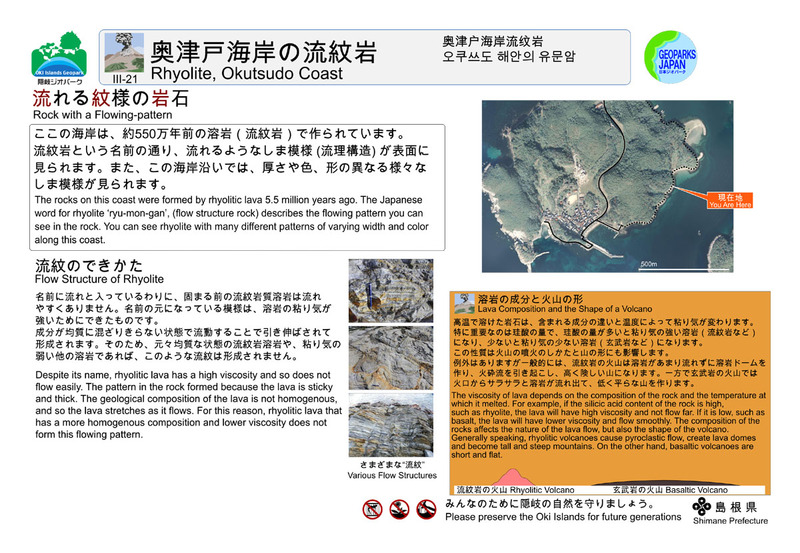 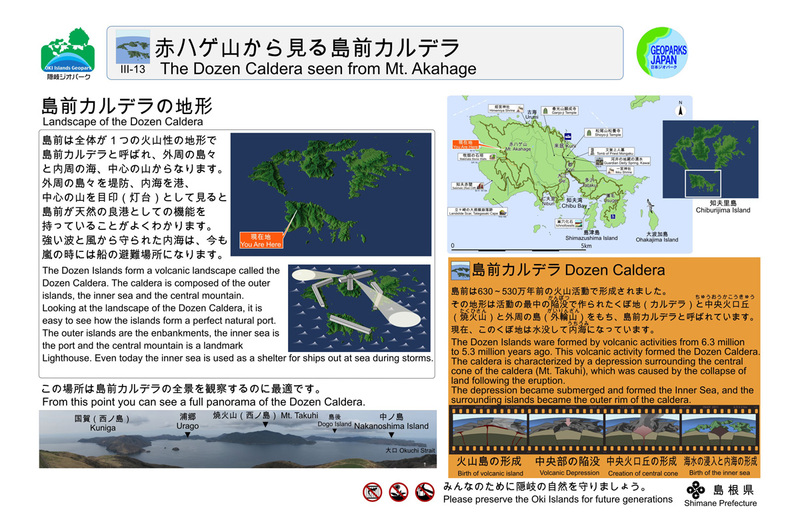 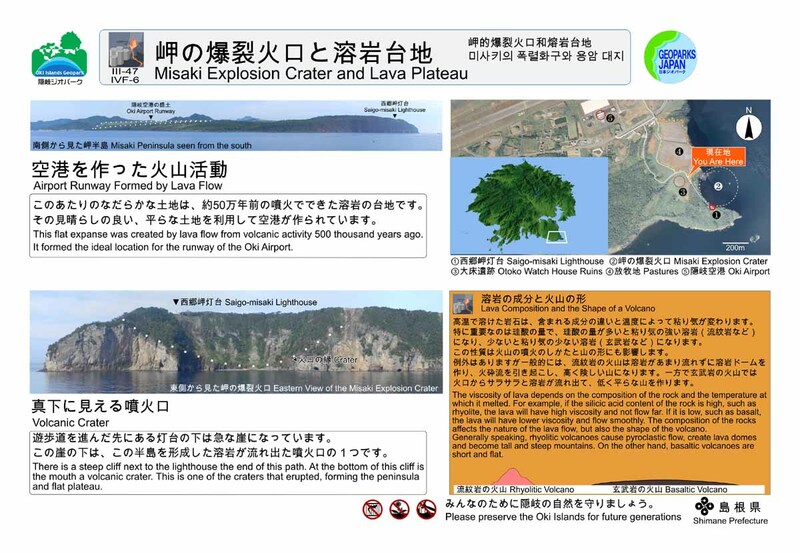 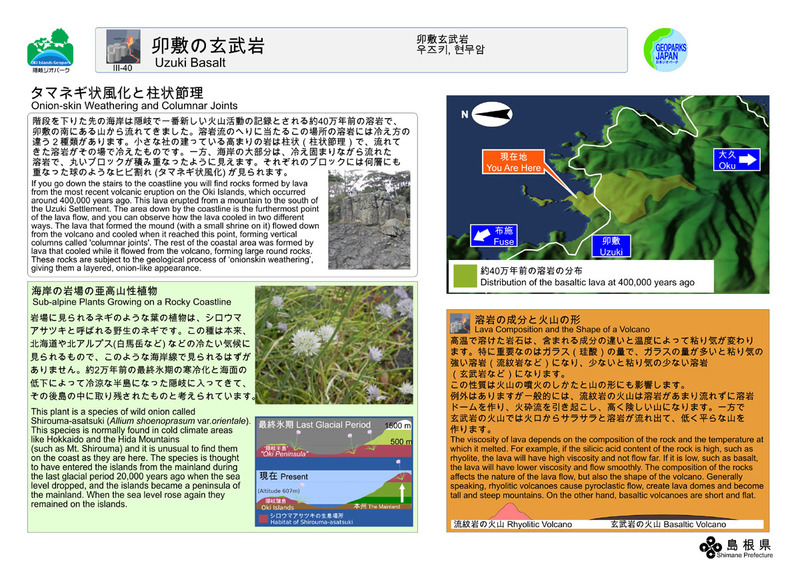 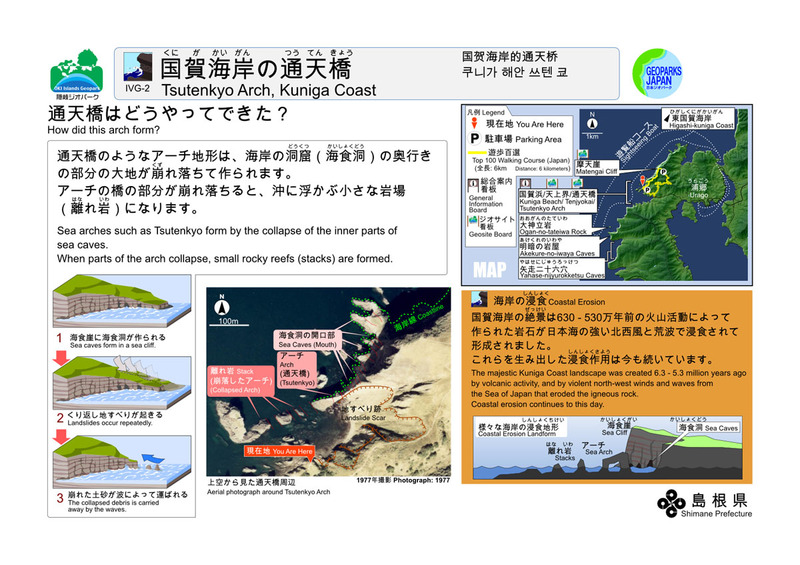 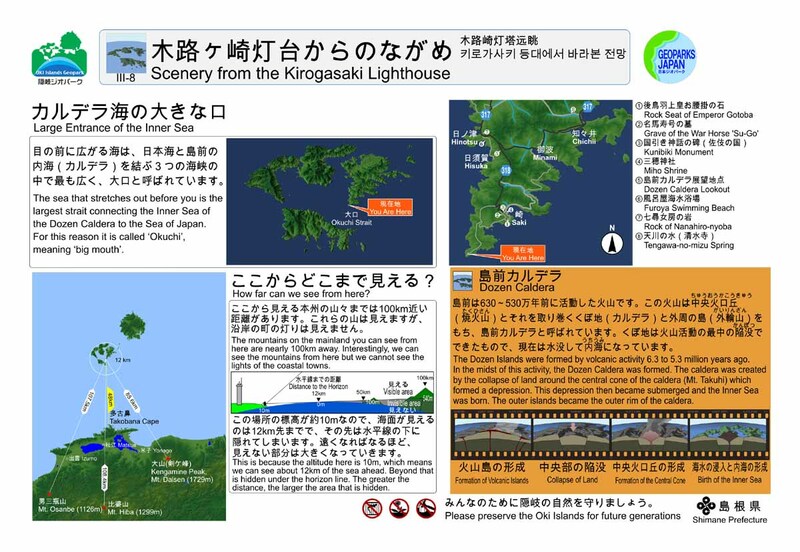 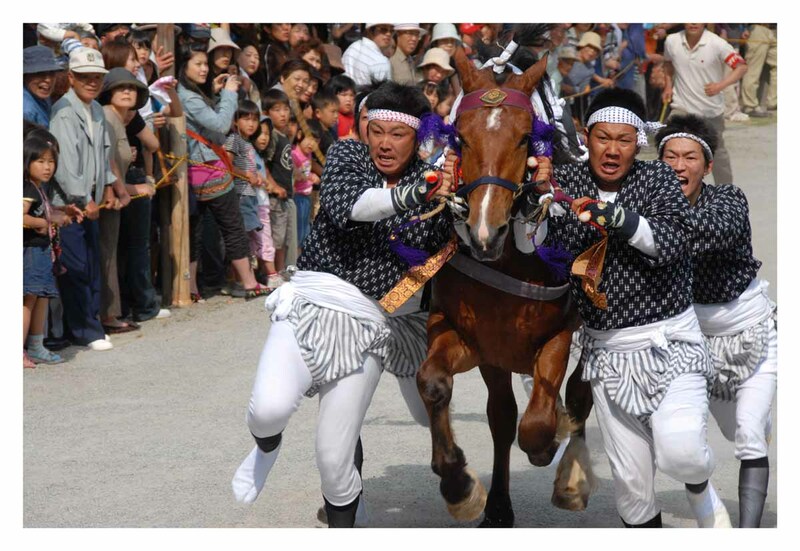 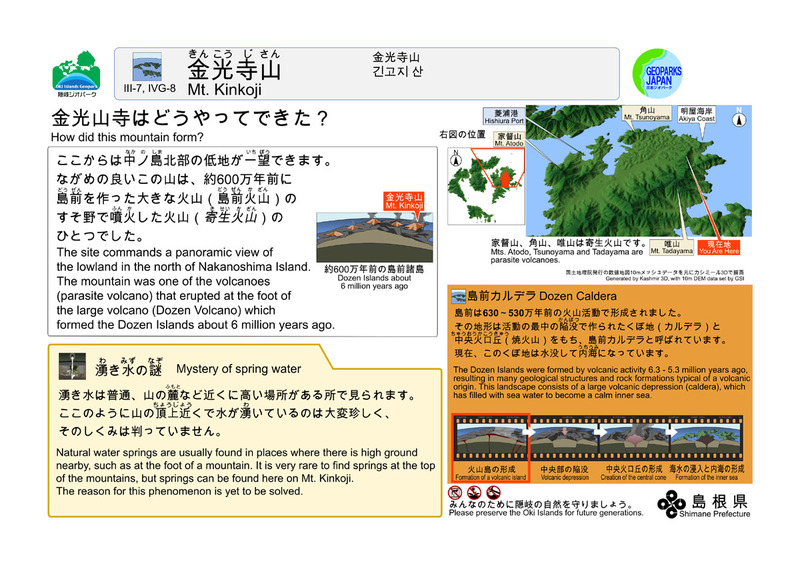 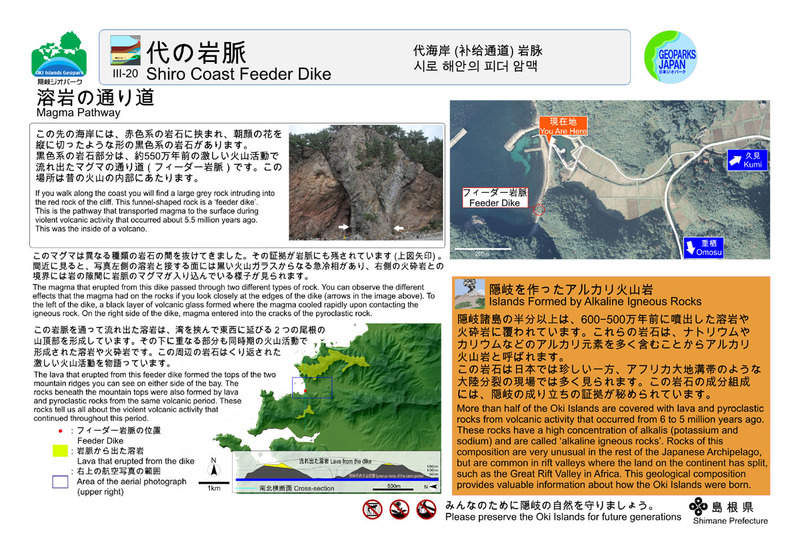 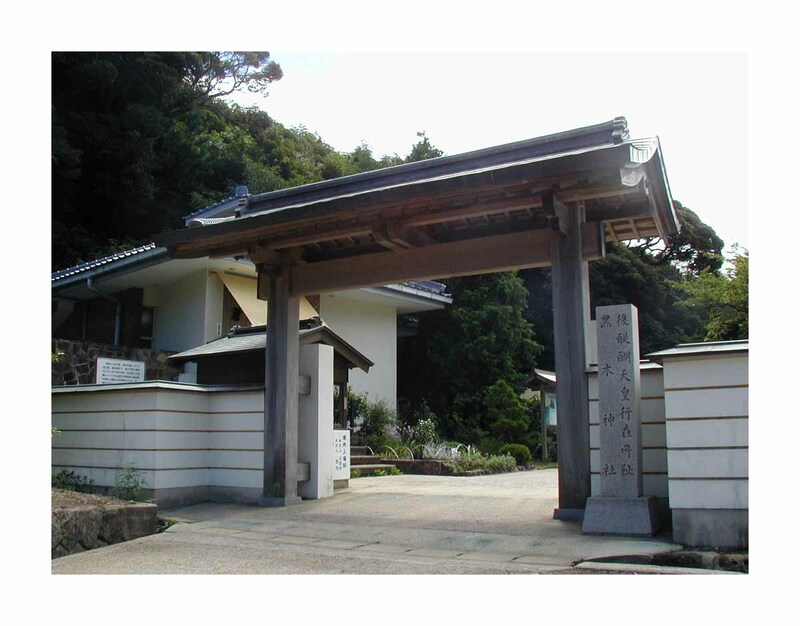 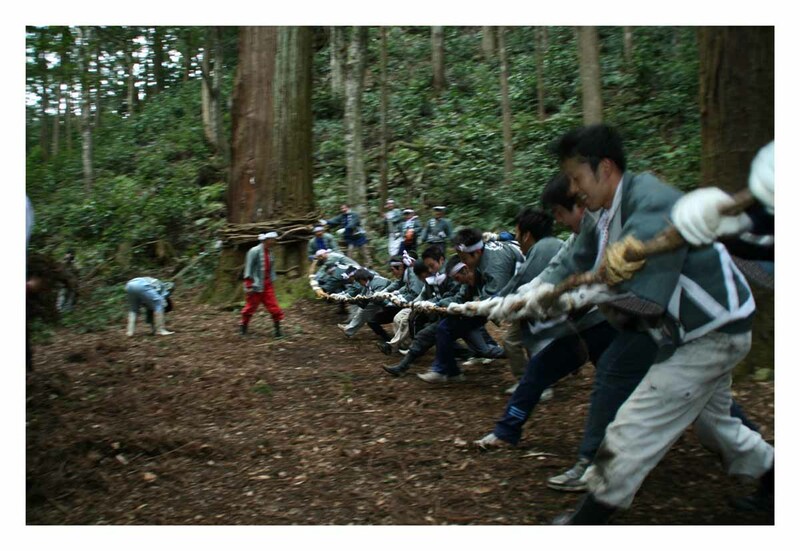 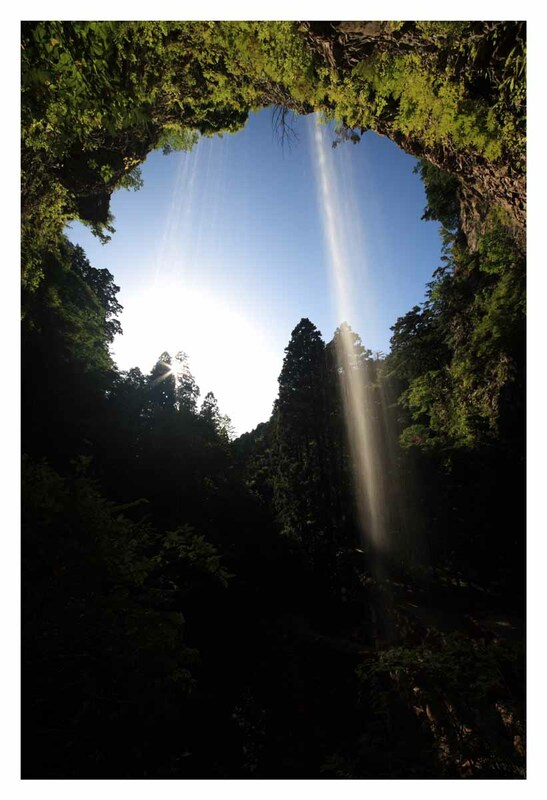 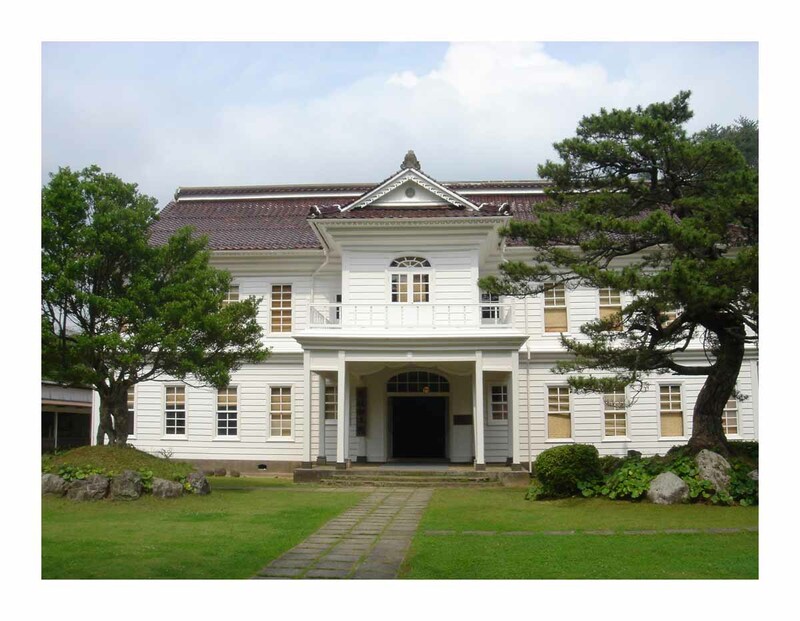 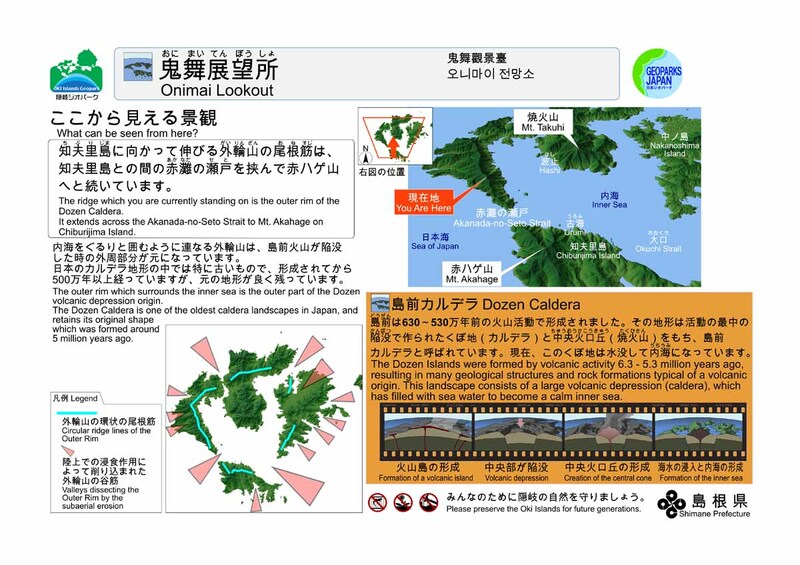 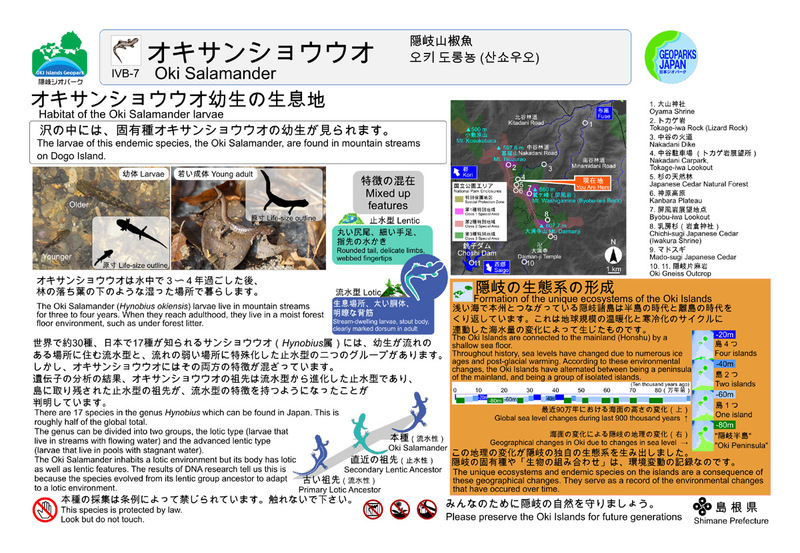 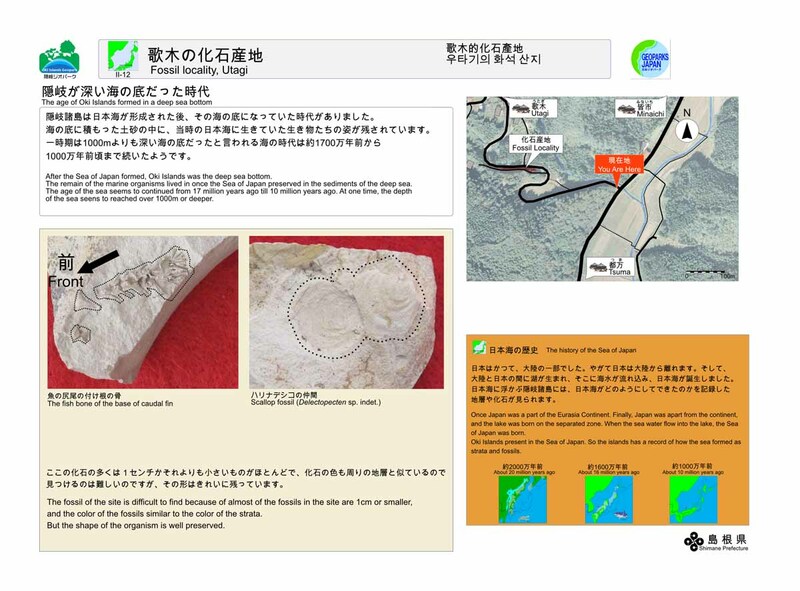 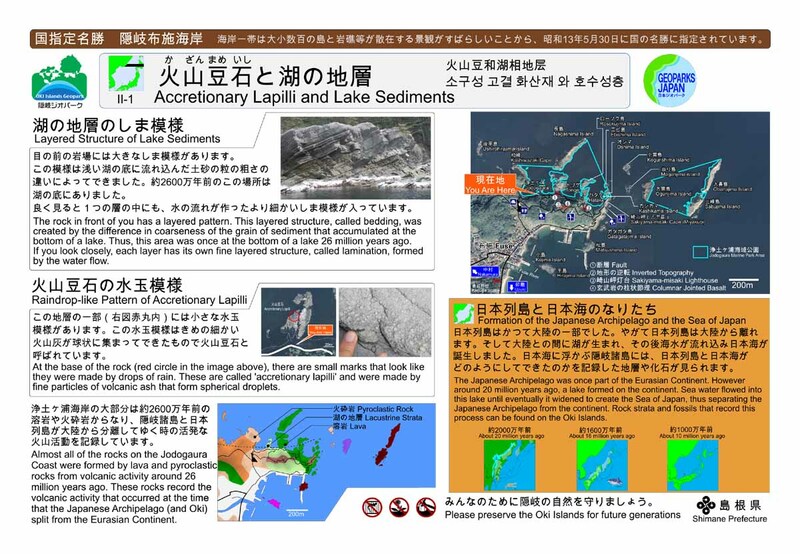 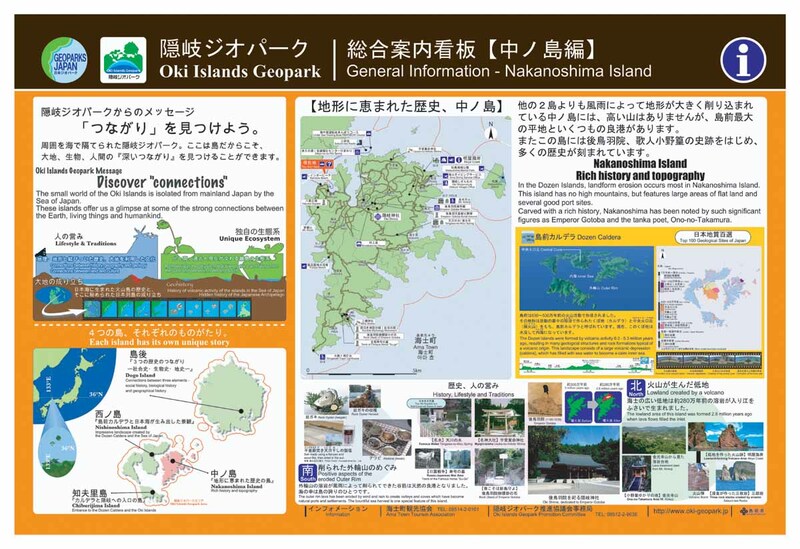 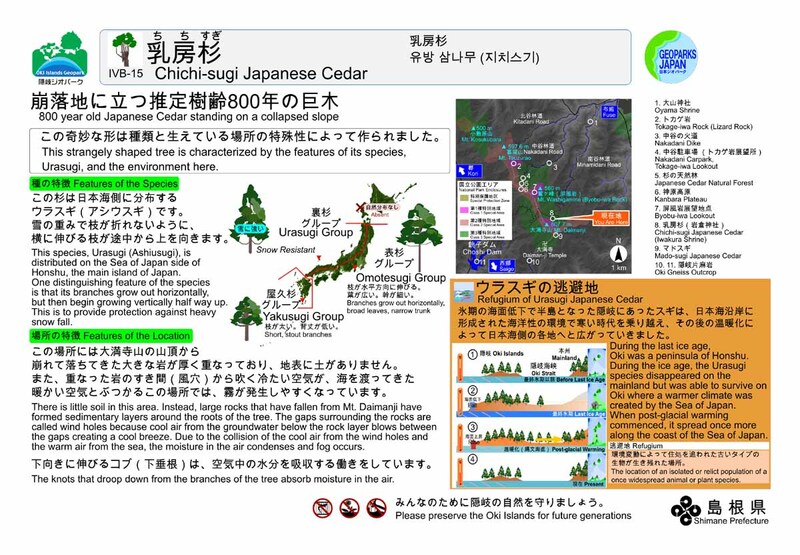 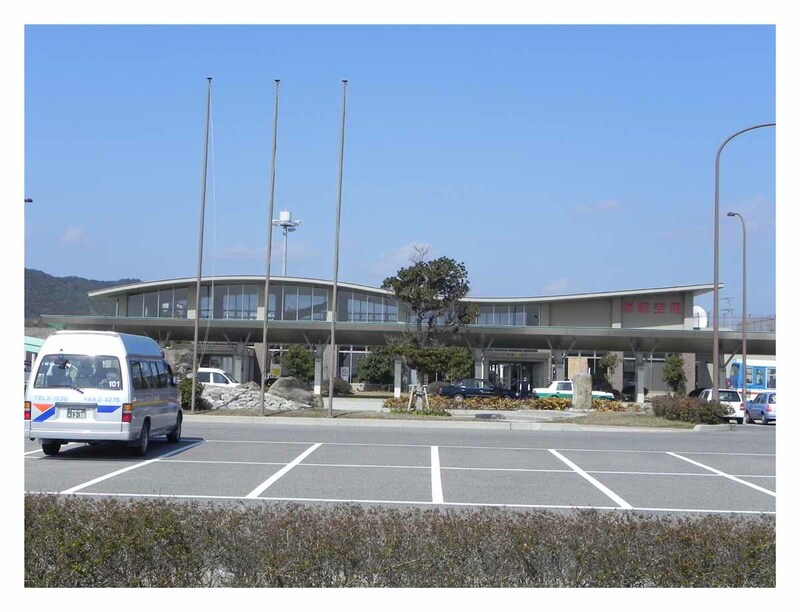 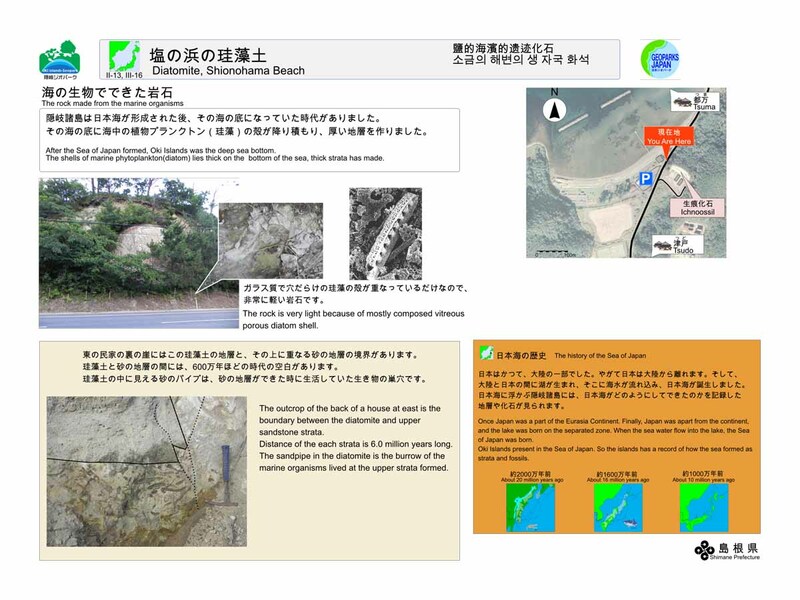 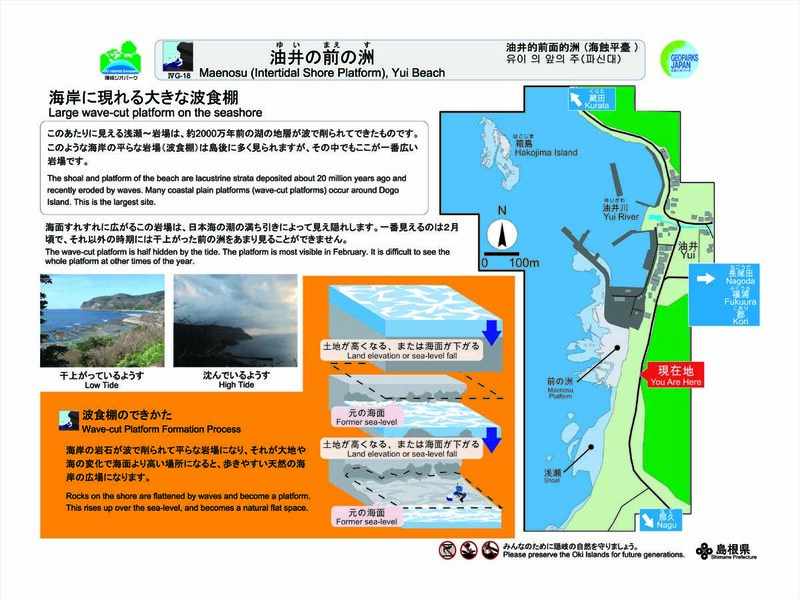 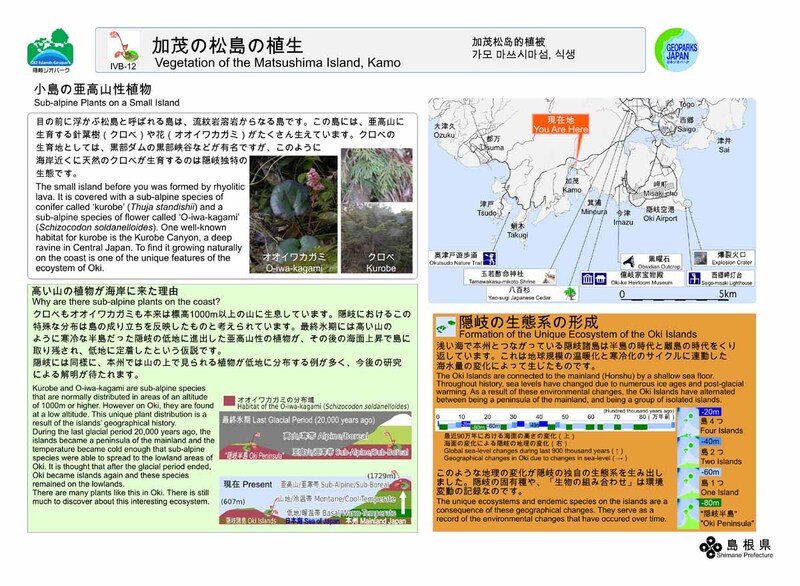 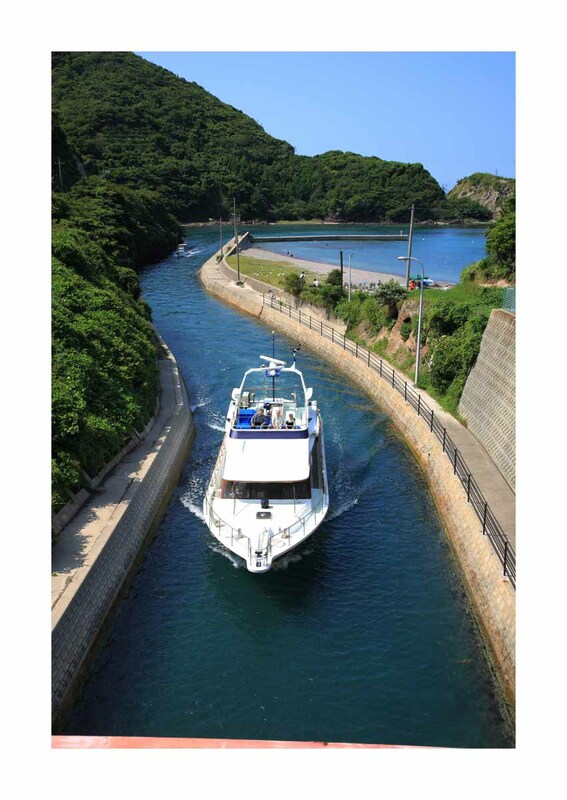 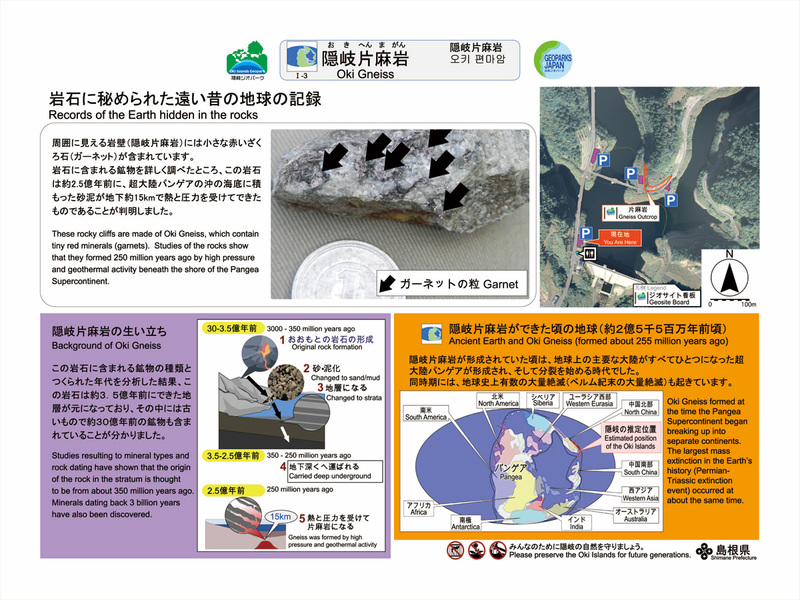 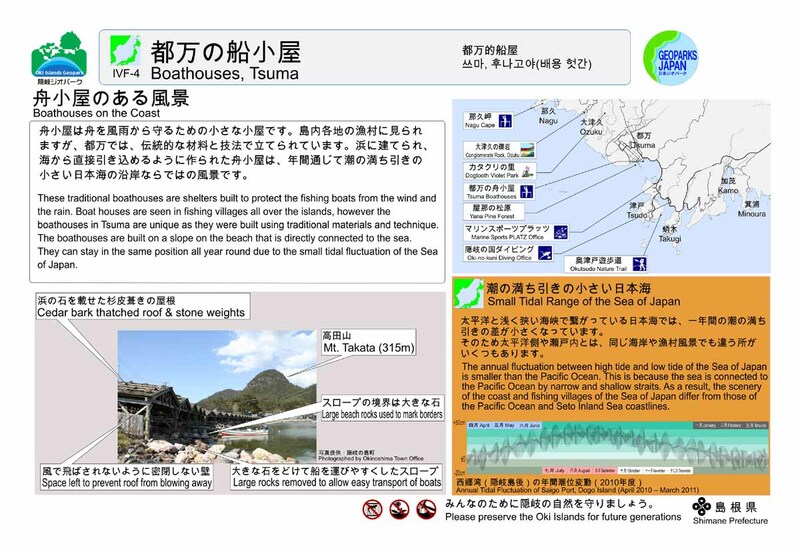 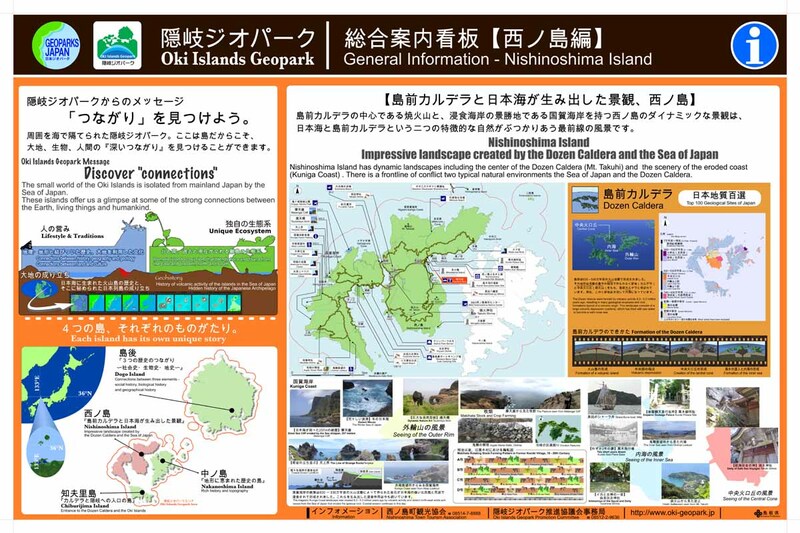 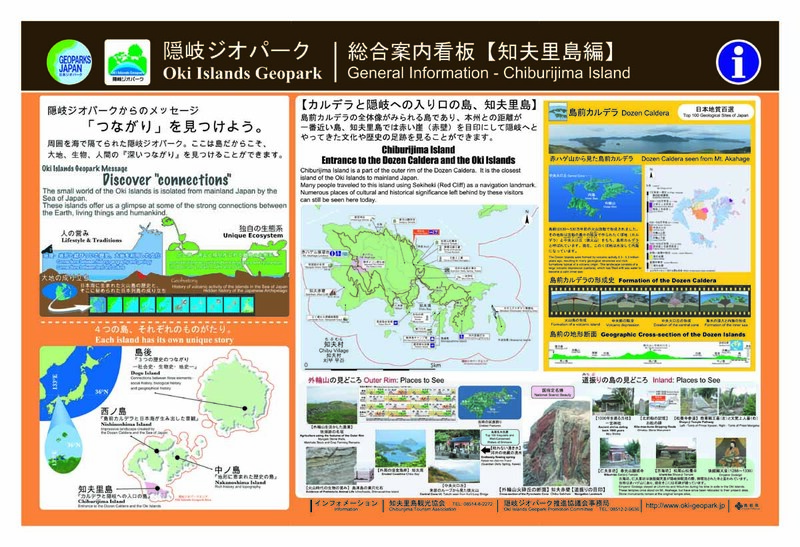 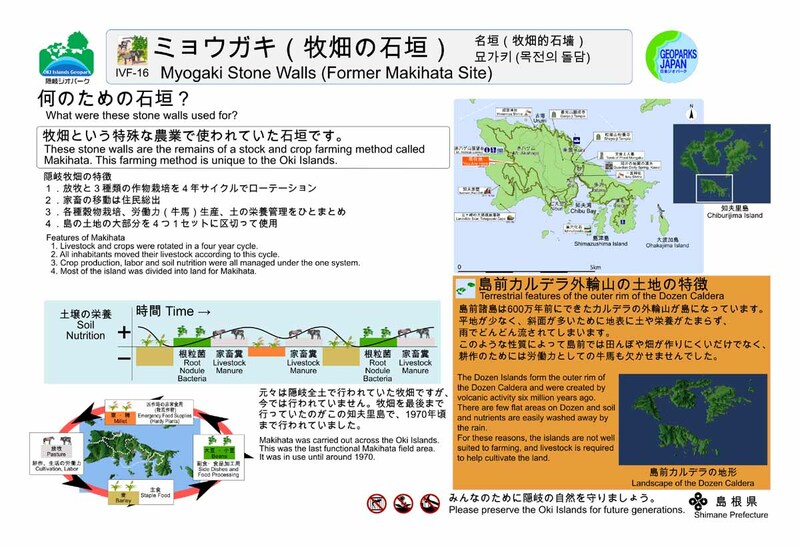 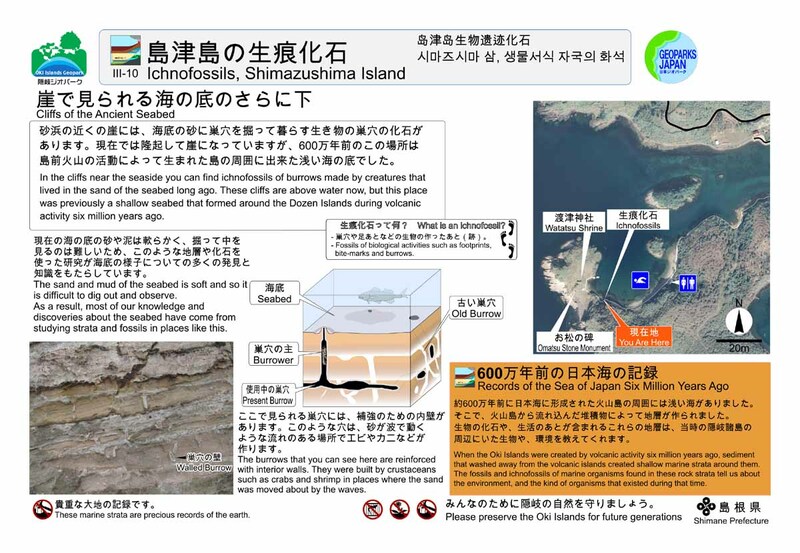 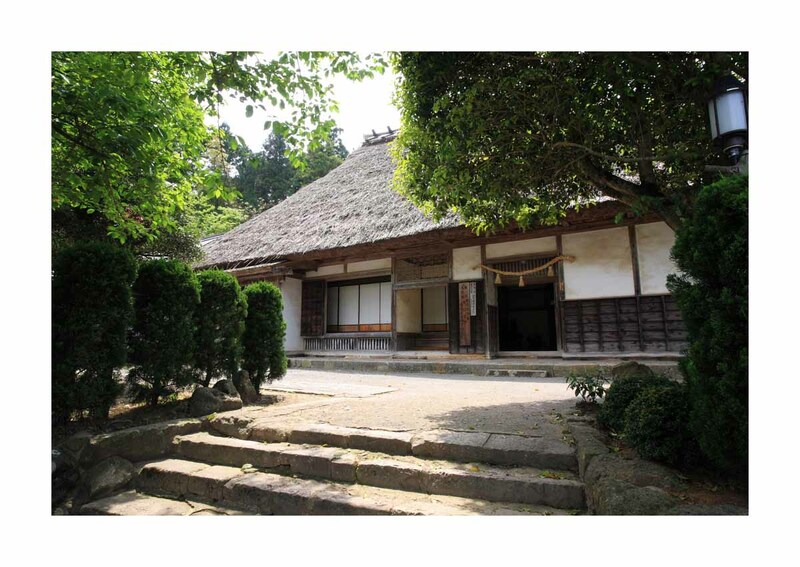 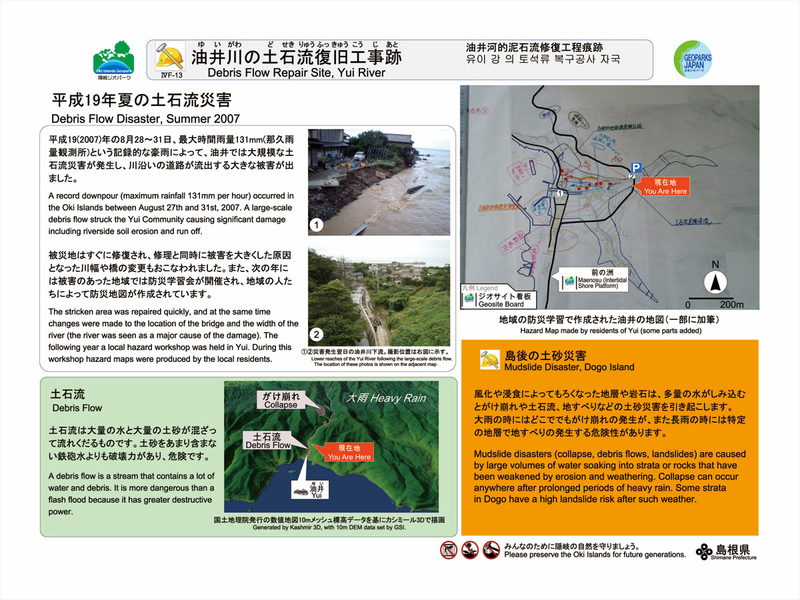 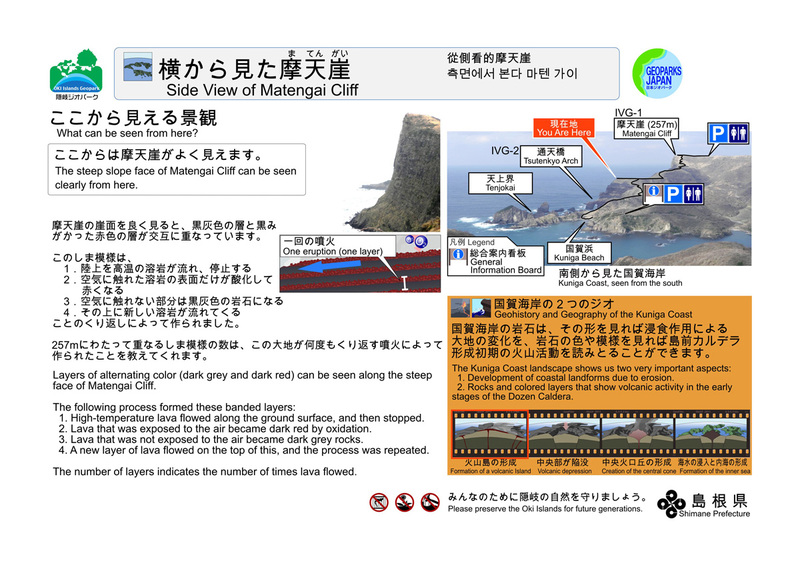 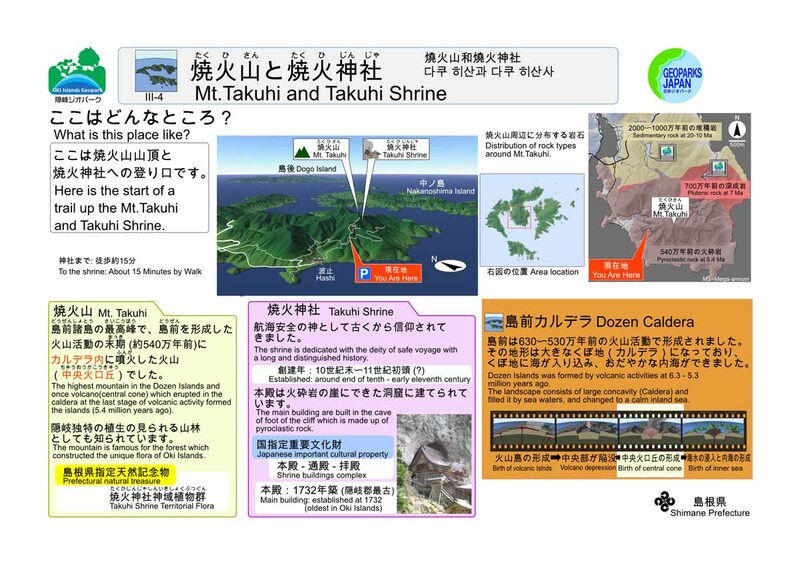 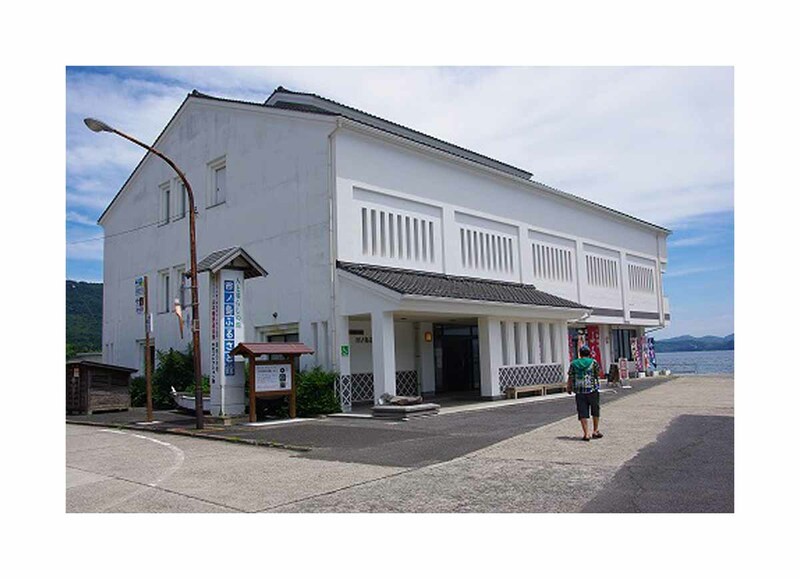 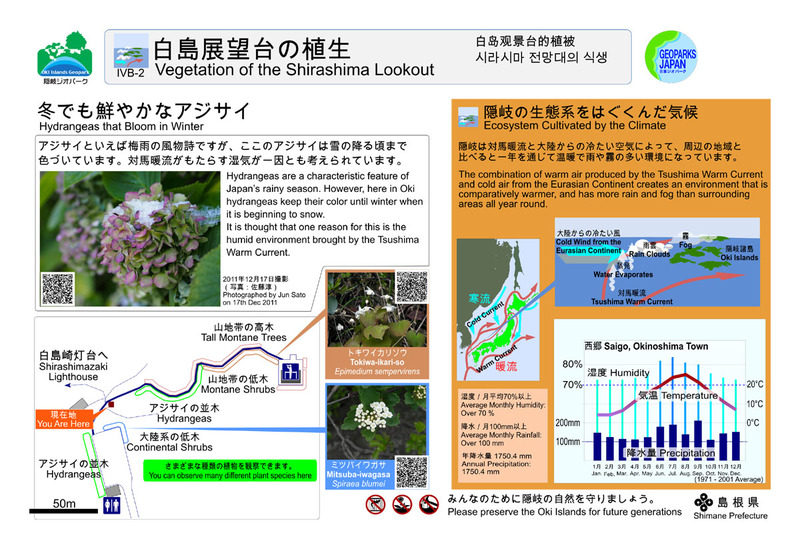 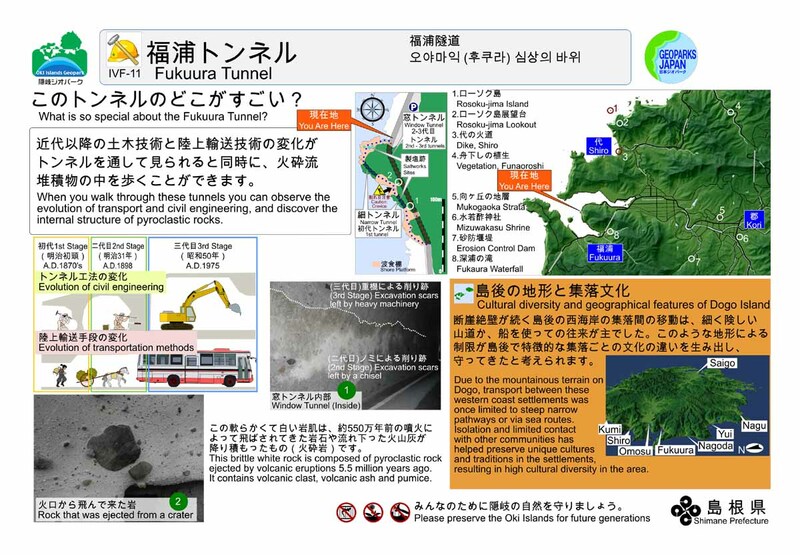 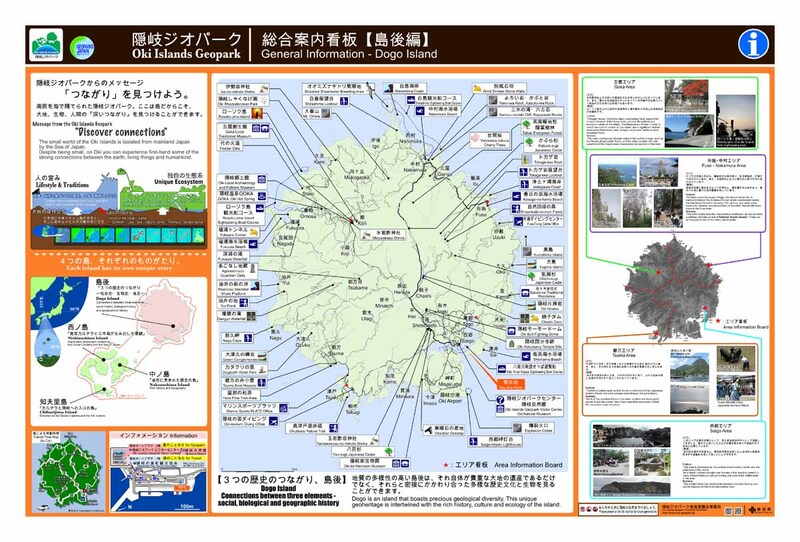 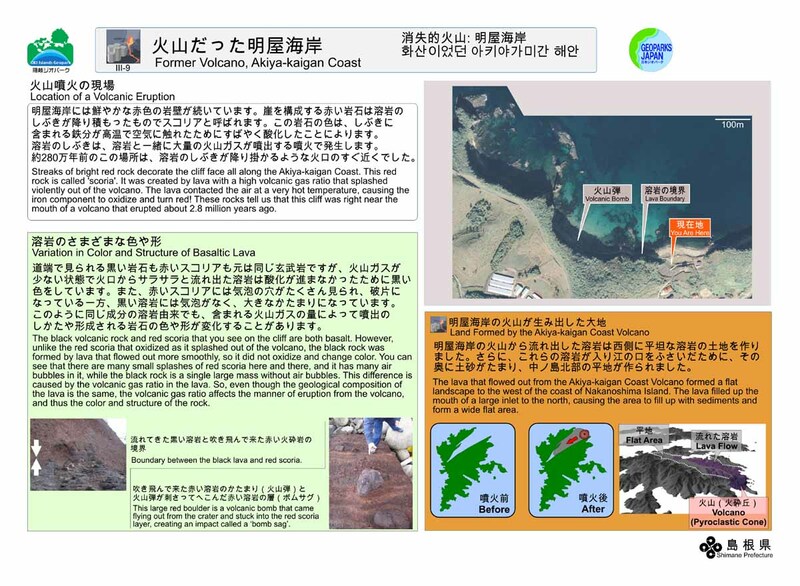 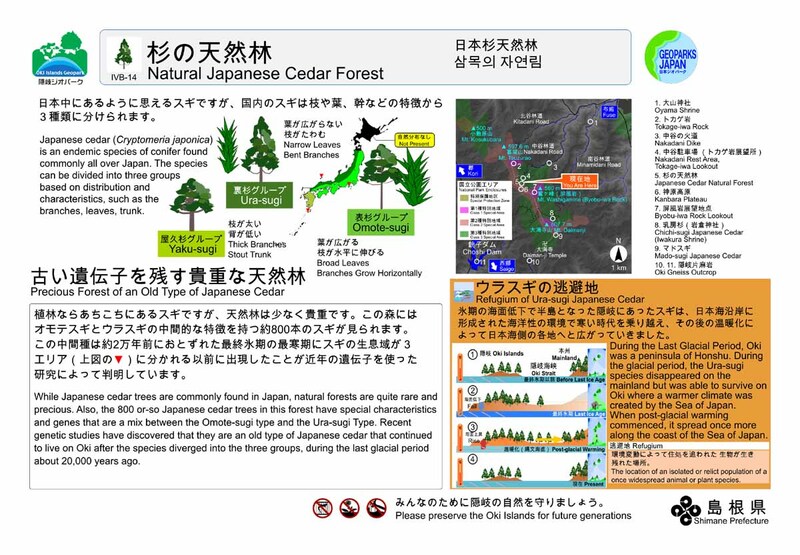 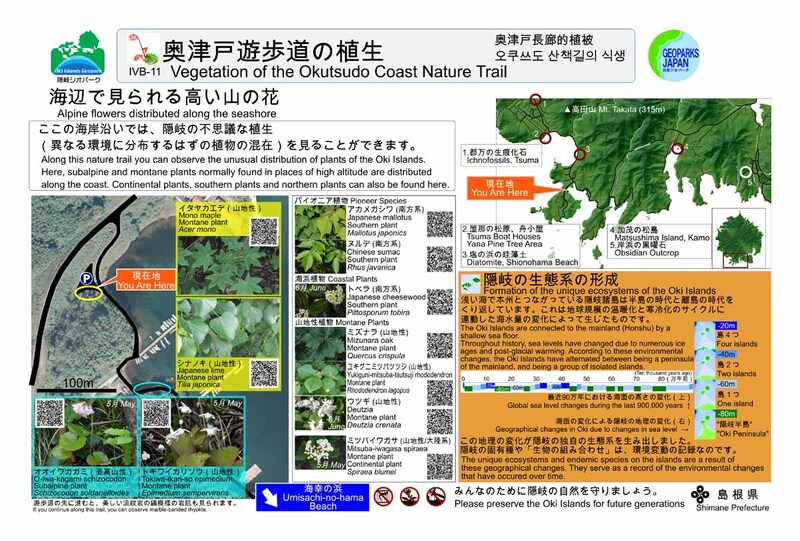 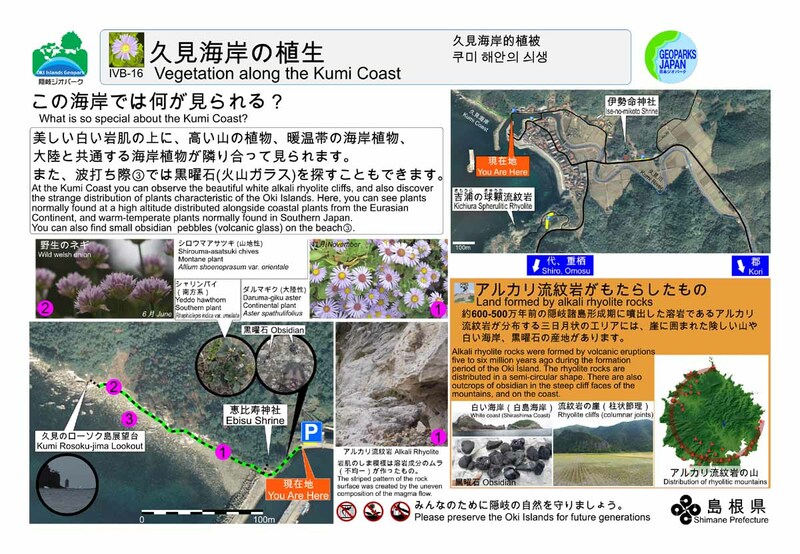 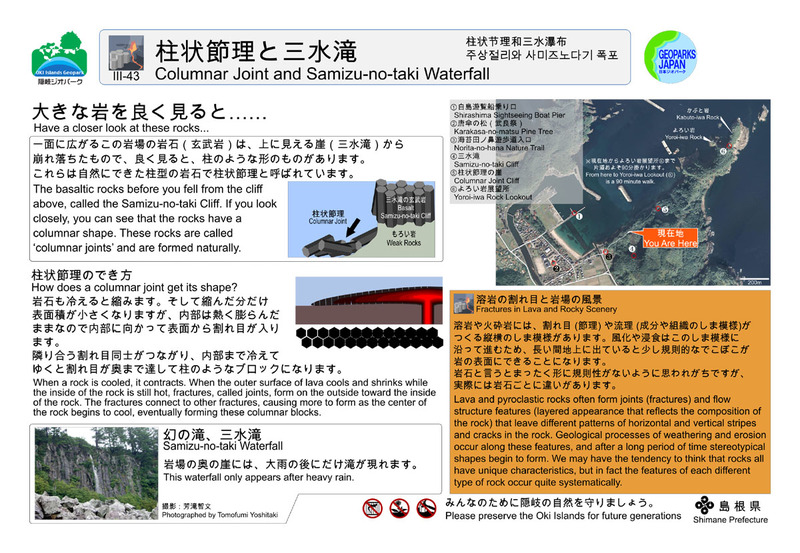 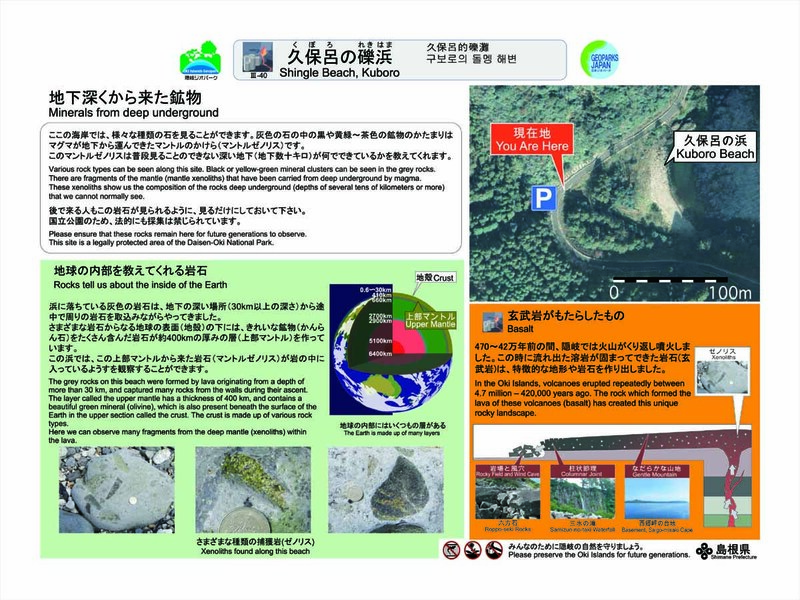 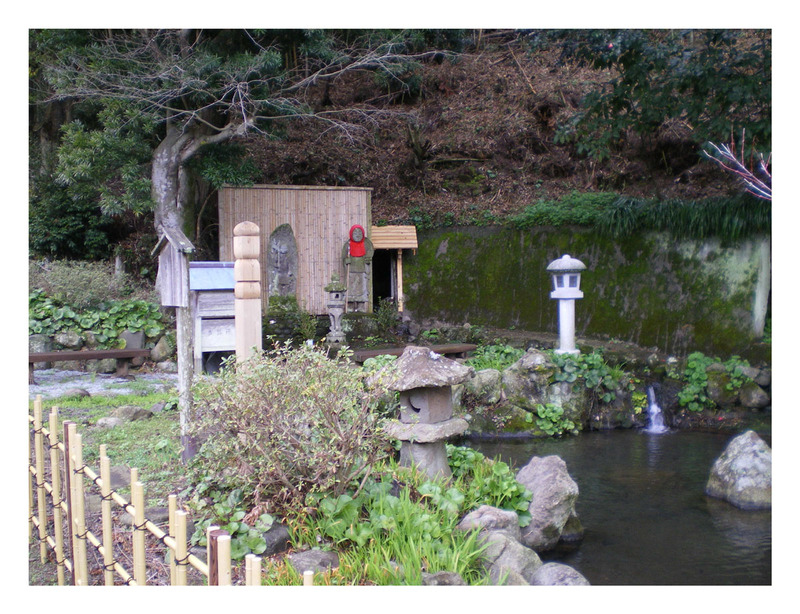 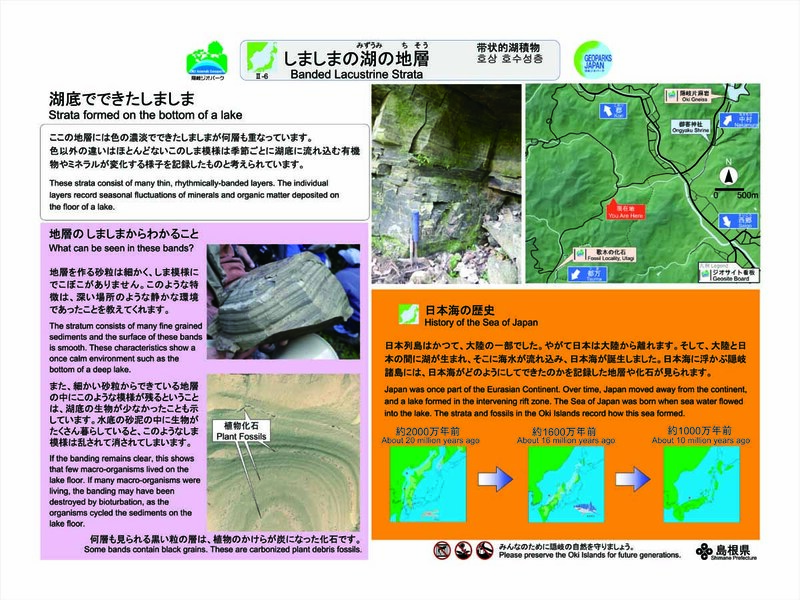 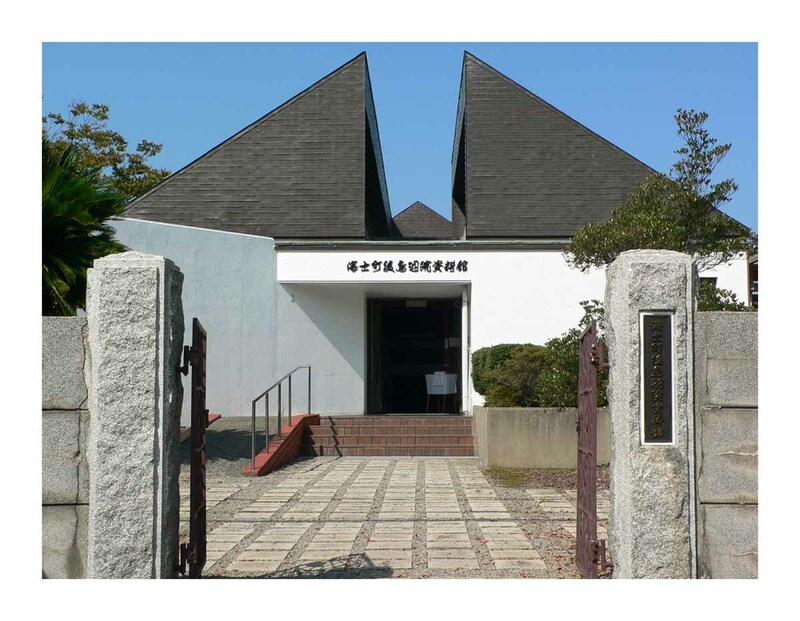 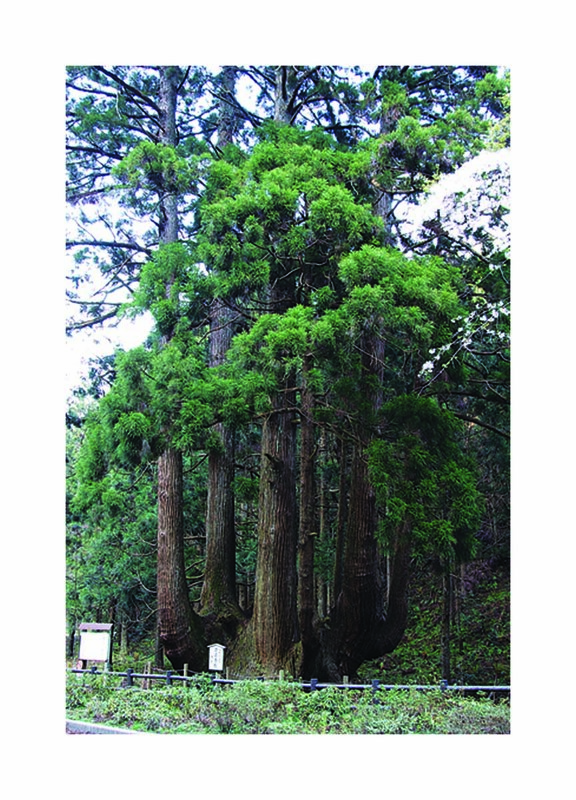 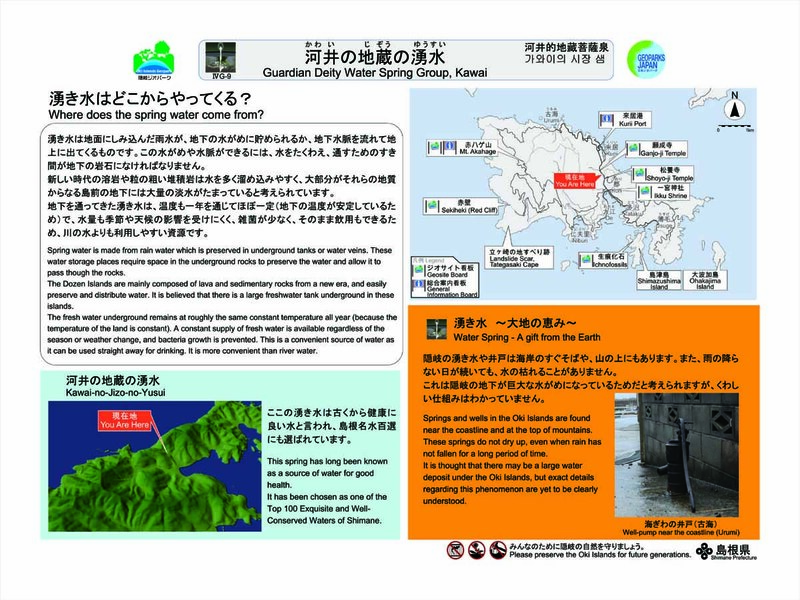 Information posted on this website belongs to the Oki Islands UNESCO Global Geopark Promotion Committee.